EMT Study is the ultimate and most current guide to the NREMT designed and developed from the ground up by currently practicing EMTs and Paramedics. 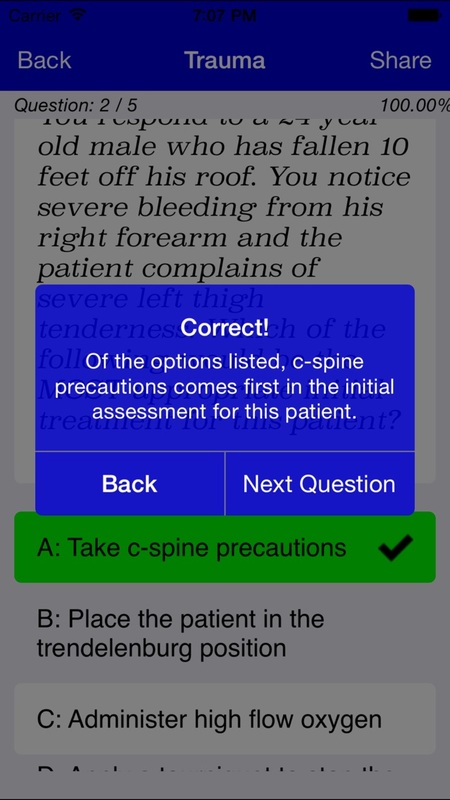 Whether you're studying for the NREMT, an employment exam, or simply an aspiring EMT, this app is for you. EMT Study contains hundreds of quality questions with detailed explanations and intuitive easy to use flashcards over the six major chapters of the NREMT including: Airway, Cardiology, Medical, Obstetrics and Pediatrics, Trauma, and Operations. All material is verified from current 2014 text books and updated/revised regularly. 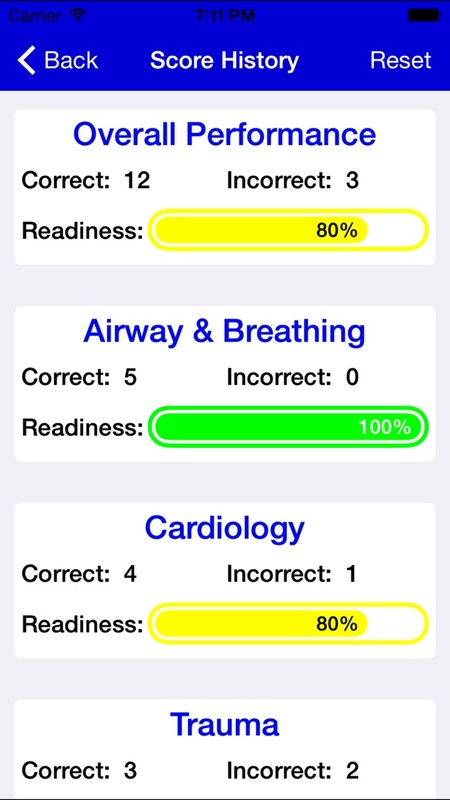 EMT Study is a unique and powerful study tool for several reasons: First, this app will quickly identify your weak areas by providing a detailed breakdown on how well you perform on each EMS category; this allows you to easily determine where you should focus your studying. Second, EMT Study provides detailed explanations after every question whether you answered right or wrong so you can fully grasp the concepts. Third, all questions have been written by experienced paramedics and educators with a sole purpose of adequately preparing an individual for the NREMT. 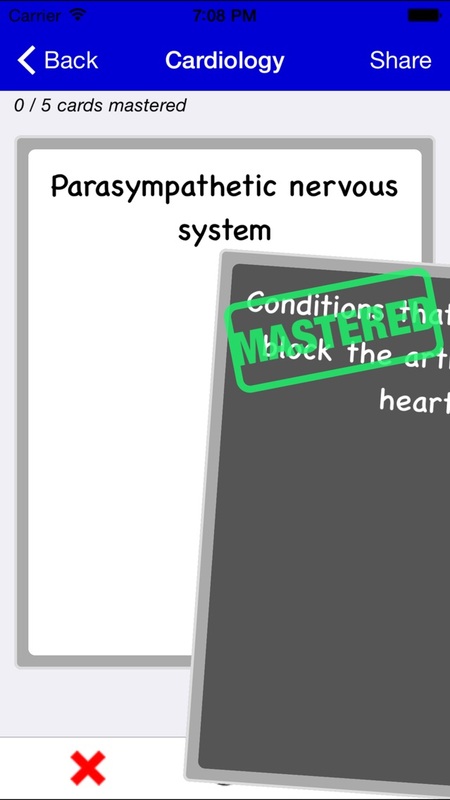 Finally, EMT Study comes with an extremely easy and intuitive to use flashcard system to help memorize the MOST important material while having fun in the process! Don't chance the NREMT! Download EMT Study and be prepared! If you have any questions, comments, or suggestions for this app, please email us at emtstudy@yahoo.com and we will be happy to assist you. Good luck my future EMS brothers and sisters! 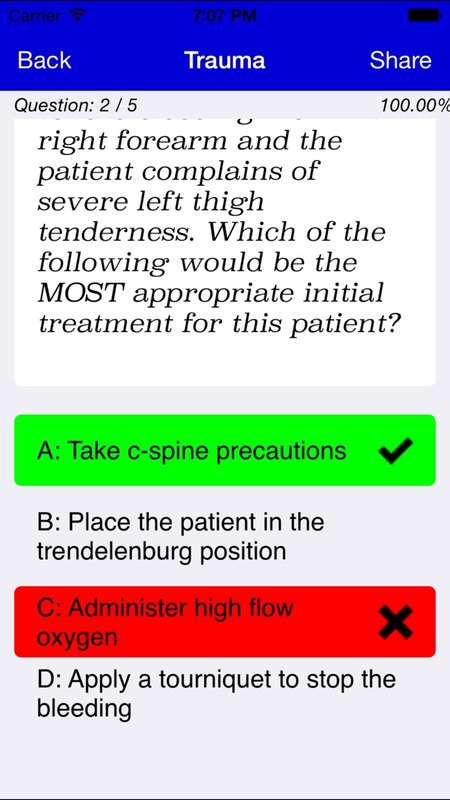 A few of the questions are simply wrong or they are not within the current nremt guidelines. Don't use it as a definitive guide. The format and method of selecting answers and getting initial feedback and explanation is excellent. That said, there are only 50 questions per section or 300 questions. When I reviewed these with a few colleagues who have recently taken the NJ exam, a vast majority of the questions are not even asked on the test. The app works flawlessly and is simple to use. Unfortunately some of the information is out of date... over the past few years much has changed regarding terminology and the use of oxygen. If an answer doesn’t seem correct, look it up. Needs updating to reflect current standards and also would like it to be able to rotate for landscape on and iPad. Well i'm getting 80-90% on the app but didnt manage to pass yesterday. So i'll be doing the rest of my studying with the giant book. Passed with this app for the first time!! Perfect app to use as a study guide!!! As a basic in NET, it's a great tool to review for continuing education in emergency medicine on the basics. App is fun. App is good. Now leave me alone. Repetitive questions and blatantly incorrect answers to some. Disappointed.